Wow that is a long title- but it had to be done! I’m so glad everyone has enjoyed this look I made for the April #HePicksMyPolish nail art challenge. It was such a fun manicure, and I enjoyed marbling it. If you didn’t see it last week, you can read the full post and hear all about my #HePicksMyPolish nail art challenge HERE. 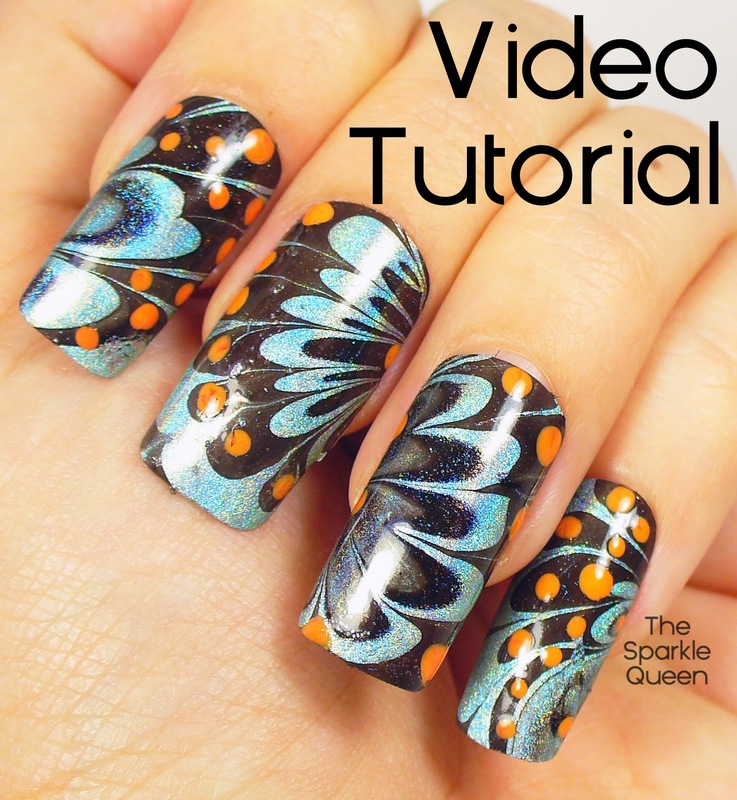 Great tutorial on this awesome mani! Love this mani! I'm going to need to watch this video as soon as I get home from work! 🙂 Hope it's helpful! I'm still trying to improve my tutorial/recording, so if you have any tips for me, I'd love to hear them!